We are thrilled to be launching our new Wardrobe Wisdom blog series. Each month we’ll be chatting to an inspiring individual to gain an insight into their slow fashion ethos. With only a few days to go until Fashion Revolution Week, who better to feature in the very first post than Safia Minney, Fair Trade Fashion Pioneer and founder of ethical fashion brand People Tree. Safia has just published her latest book Slow Fashion: Aesthetics Meets Ethics in which she shines a light on the people and projects who are leading the way towards a more ethical industry. The book provides a wealth of wardrobe wisdom and serves to empower us as citizens: it shows us we can all make a difference and be a part of the slow fashion movement. 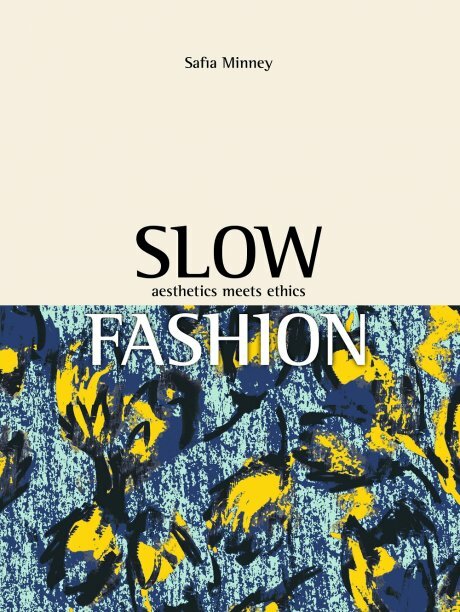 Your new book Slow Fashion: Aesthetics Meets Ethics offers advice to people who want to dress more ethically. What one main piece of advice would you give to someone who wants to shop more ethically on the high street (aside from shopping for People Tree of course!)? There are great ethical fashion websites and lovely eco concept stores like The Keep Boutique and 69b Boutique in London and frankly they are popping up all over the world. Buying eco collections from large fashion retailers shows we care, but we need to ask them more about their sourcing policies and to eradicate modern slavery from their supply chains. We need to be vocal. 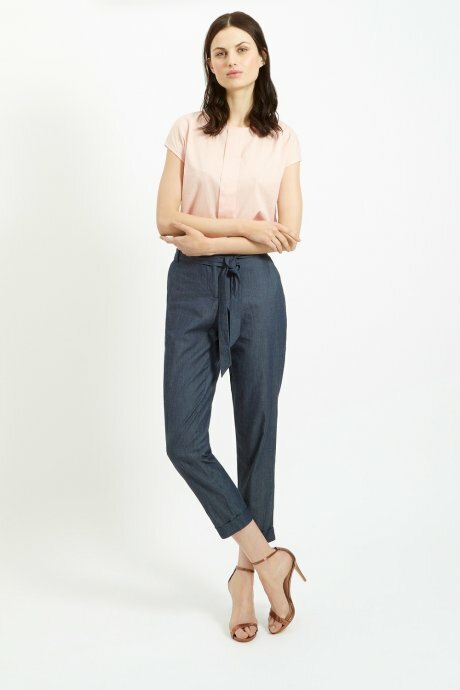 Rank a Brand and other sites give a lot of tips on where to go for ethical fashion also. There are special QR codes within the book that enable shoppers to connect with the people who make their clothes. How does this work? Someone said the QR codes are “genius, they work”. You download the QR reader on your phone and Slow Fashion springs to life – you can watch the videos on beautiful eco-concept stores, the 2€ t-shirt vending machine, meet models and journalists who campaign for human rights and sustainability in the fashion industry. I have a dress designed by Bora Aksu in collaboration with People Tree, that was made by my Fair Trade groups in Bangladesh, that I collected my MBE in. It is handwoven silk and heavily embroidered by artisans at Swallow Village. I love wearing their craft skill and heritage and thinking of how much love they put into that dress. Purge before you splurge – a good sort out of your wardrobe! You’ll re-discover things you forgot you had, not just the joy of putting odd socks together, but putting together new outfits that fit this season’s trend. I have loads of backless, off the shoulder…it’s all coming out this summer. Then I know when I buy something new, why I’m buying it and to invest in Fair Trade and ethical fashion, or buy a lovely vintage piece. Wash in Ecover, cold water or max 30°. Do you have a 'go to' place for repairs or alterations? I repair and alter clothes myself. I have a big pile of ‘to be altered' clothes. My wardrobe inspiration? I’m myself. I can’t shake off my 80’s fashion roots I’m afraid - black organic cottons leggings and DM’s. I love vintage, feminine elegance, and an androgynous mannish suit for a business day, if it’s well cut for my petite physique. Fashion isn’t as important as your physical health – we need to get some perspective! Your work takes you to some amazing places. Are there any clothing or shoe shops that you always make a beeline for on your travels? I love my work. I get to meet social entrepreneurs and people who face all kinds of challenges, people who are not scared of change or challenging the status quo. In Bangladesh I make a bee-line for JATRA, in Nepal for all the lovely Fair Trade shops in Kathmandu, in India KOLKATTA, SASHA’s Fair Trade shop. In Tokyo I visit the People Tree flagship store and around Europe we have so many beautiful stores in Germany and Holland. My book ‘Slow Fashion’ features the best of these eco concept stores in Europe, Japan and a few ‘rest of the world’ too. People Tree invests a lot of time and care into developing the skills of the artisans it works with. Can you tell us about any sewing or knitting skills you have picked up along the way? I’m not a very good knitter myself but I love embroidery and experimenting with traditional designs in a contemporary way. I also like my Grandmother’s embroidery designs to design product with my artisanal groups in Bangladesh. She would love that they are being used to empower women in that way! You have been a big supporter of Fashion Revolution and have highlighted it in Slow Fashion as one of the campaigns that is helping change the face of the fashion industry. What plans does People Tree have to mark Fashion Revolution Week 2016? People Tree will be featuring our producer partner work, skills and lives through video and photography this Fashion Revolution Day. People Tree will be promoting our new book ‘Slow Fashion – Aesthetics Meets Ethics’ and many of the stockists are really raising awareness with book events, The True Cost movie screening and press work. I’m also working closely with others to help form the legislation and pressure needed to hold companies accountable and wages for the people that make their clothes. And personally I’ll be launching a Kickstarter campaign to raise funds for a new book Slave to Fashion to highlight modern slavery in the supply chains of the fashion industry. It’s up on Tuesday 19th April so please take a look and support it. 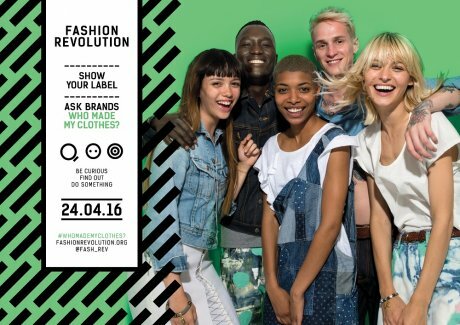 There are lots of ways to get involved with Fashion Revolution Week. To support on social media 'show your label', take a photo, tweet the brand, and ask #WhoMadeMyClothes? Find out more about Fashion Revolution Week on their website www.fashionrevolution.org or have a browse through our past Fashion Revolution blogs.